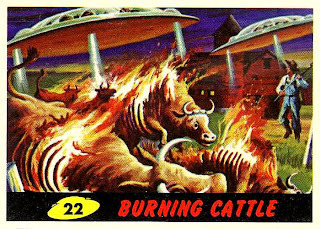 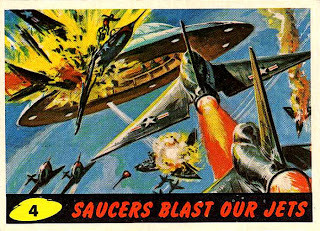 In an email, reader Stevearino said, "Thanks for the links to those Flying Saucer Week postings from last year!!! 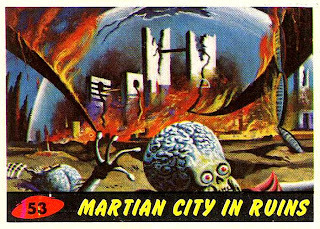 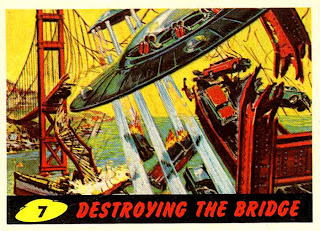 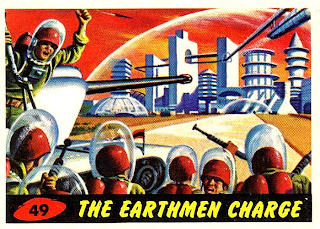 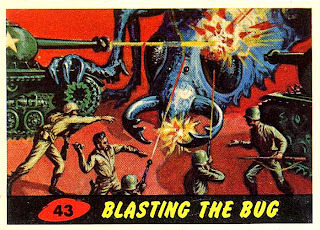 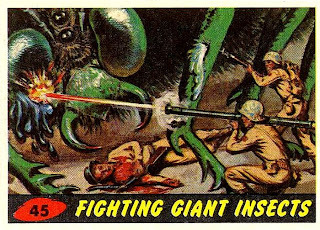 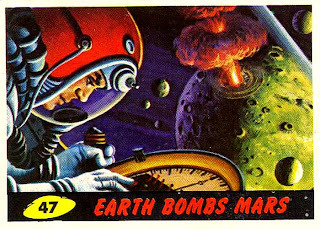 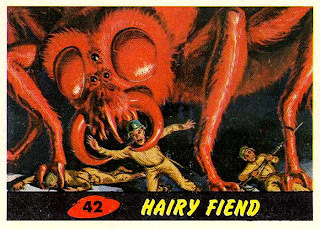 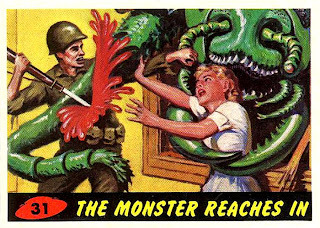 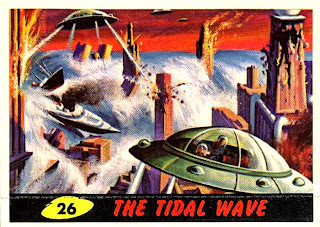 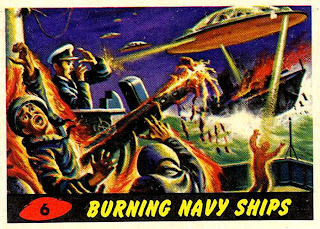 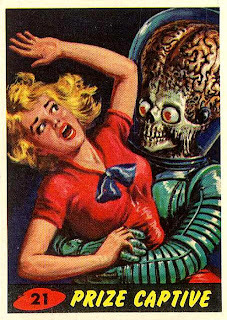 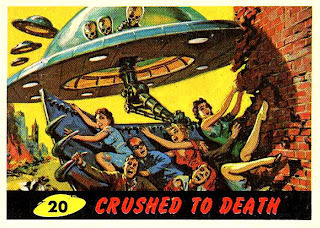 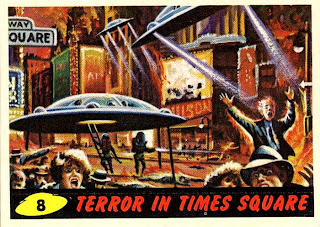 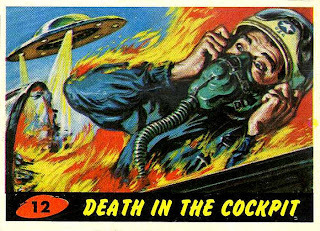 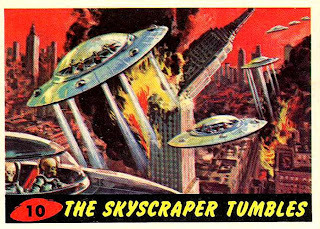 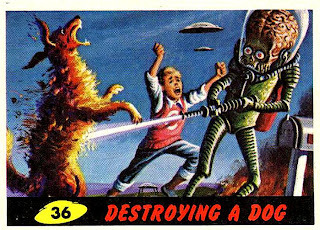 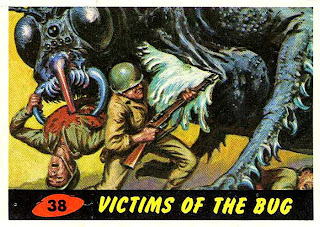 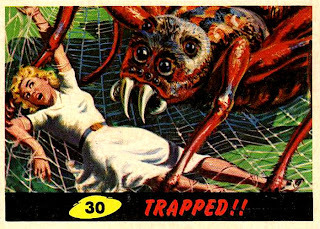 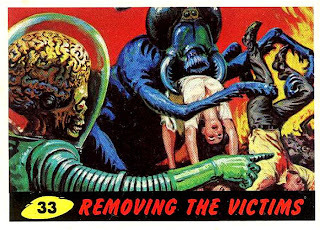 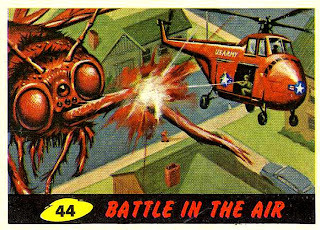 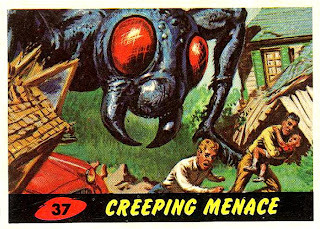 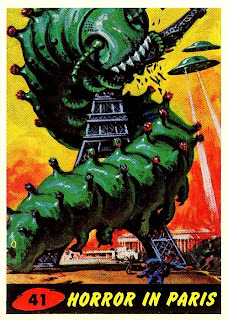 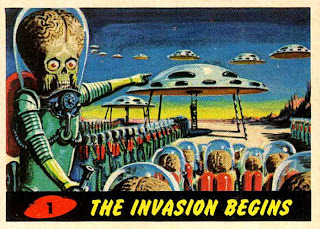 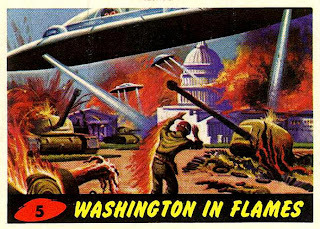 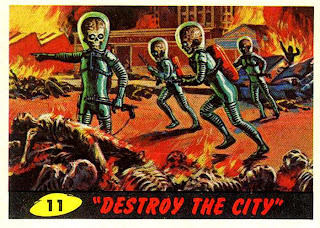 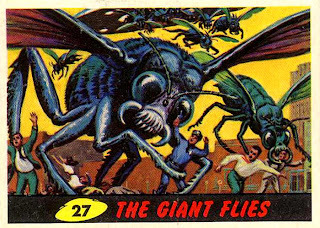 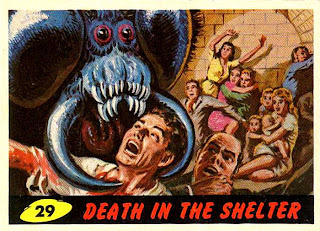 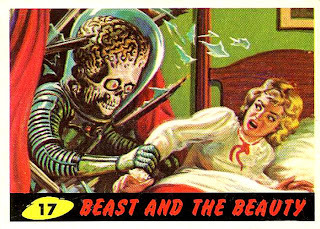 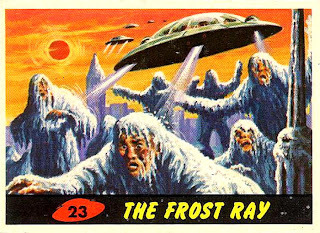 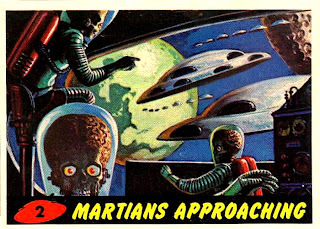 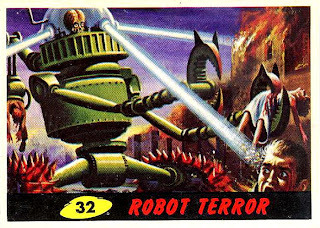 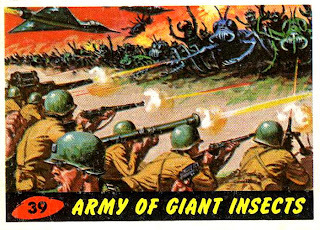 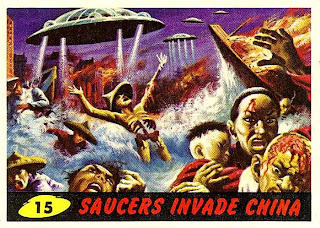 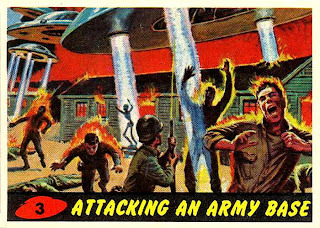 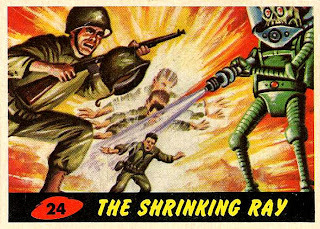 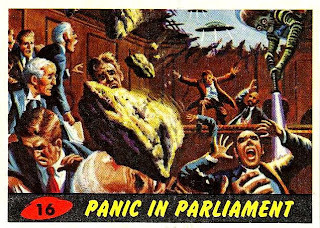 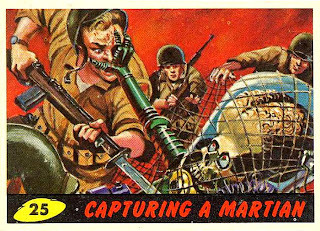 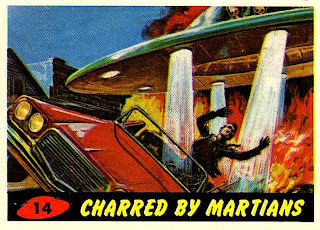 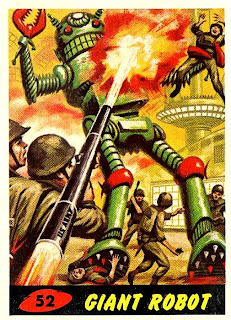 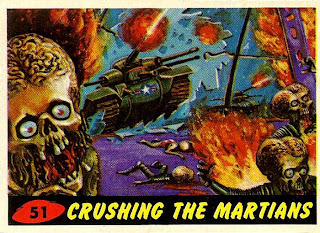 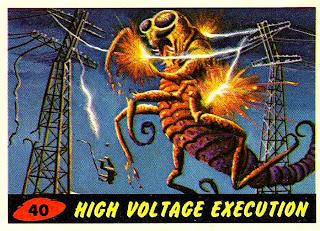 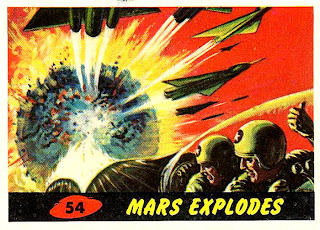 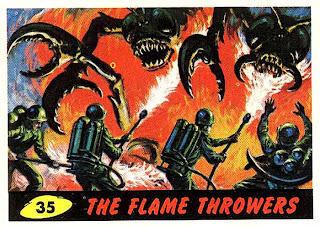 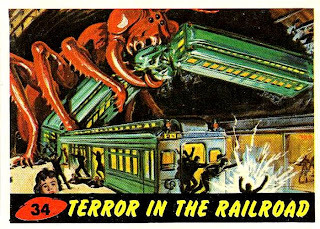 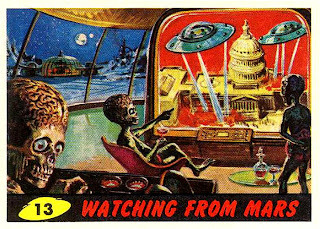 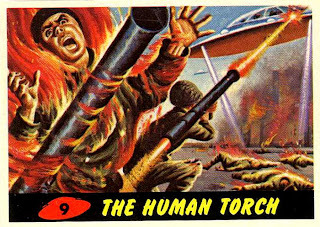 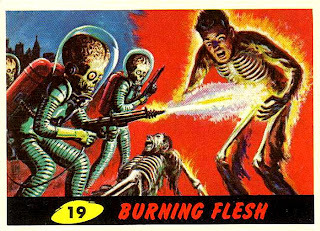 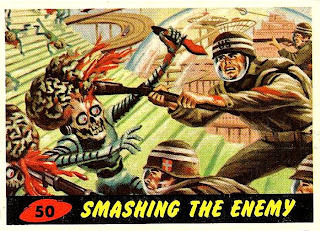 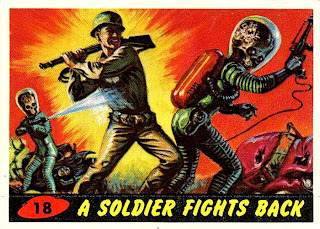 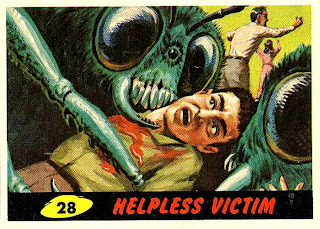 You showed some of the MARS ATTACKS cards (and thanks for doing it!! 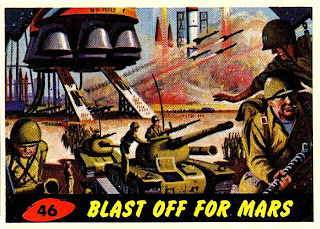 ), but do you have the rest of the cards you can post??" 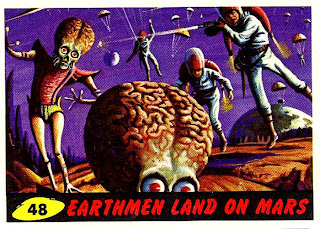 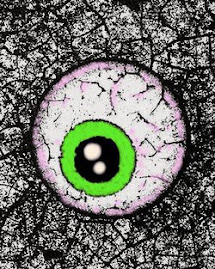 Hi-ho, Stevearino, I do. 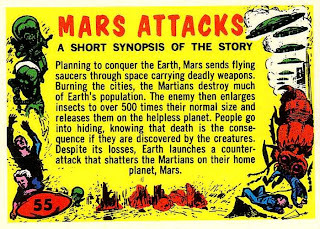 Here's the set, including #55, the synopsis.